After the waves the Mauka trio has created, who wouldn’t want a piece of them? And how better can an opening be if not with the awesome trio of Varun, Santosh and Abhiram. manage to get employed. And this is definitely a problem that could be solved by a simple business idea and that is how Mauka happened. How far has Mauka managed to reach in this short span? When the pilot we wanted to try out at college got a lot of response from the universities at college we thought that the lack of practical knowledge had to be addressed. Mauka so far has managed to give internships to over 93 both national and international students. It was not an easy job nevertheless. A lot of companies were hesitant to recruit interns. They were skeptical. But we managed to get a few companies and things started falling in place, after all our aim was to solve the problem, not make money. The needs you are catering to, exist, but what approximately is the market potential? Will most of your corporate clientele come from SME’s? If we talk about companies like Google and Microsoft, the question arises how many people do these companies recruit every year? Very few. There is a joke. A boy goes to his dad and says Dad I got placed in Google. And the dad shouts back, ‘How many times did I tell you to study hard. You would have gotten into Infosys.’ That should explain the whole scene in India. What part of the offering makes or might make it interesting to large corporates? The answer is simple. It’s a twofold advantage they have. First being the ease with which the companies can recruit potential people and the second being the significant cost reduction they achieve. Also accountability is one main issue that corporate companies face when it comes to employing an intern. Supervision over an intern’s attendance and keeping a tab over his progress make the intern a liability to them. Now this is where we take over. We sort out the companies over these issues and at the same time making the industry more accessible to the students. Where do you see Mauka in a few years from now? Given the huge investments made into Mauka. Our first target business wise is to break even in two years. Then on we aim to grow at 25-30% every quarter. And of course what we see at the maximum is an annual turnover of 6-7 crores. We are soon belting out services such as fresher job portal services and academic projects. We plan to create a huger impact obviously and for that we need to grow. Mauka plans to have around 75k students and more than a 100 companies by the March 2013 and we also plan to expand to other cities by next year. Anything for Inc42 or upcoming start-ups? 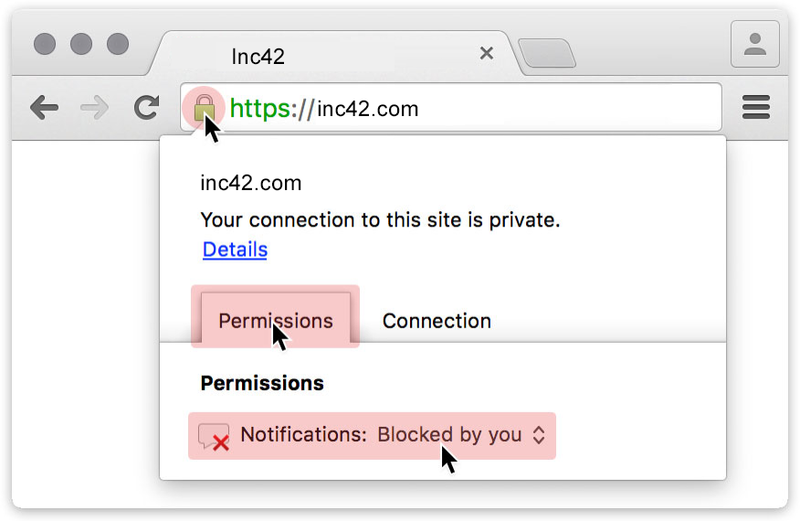 Inc42 is a nice name with a good meaning; luckily we don’t have to explain anything. Start-ups can be understood by the simple supply-demand theory. If you find there is a demand you try to supply, this is one way. Other is you create the demand and the supply follows. Both of them need different angles to think and work from. You need to have dedication and faith in what you start and obviously a lot of hard work. All the best Inc42! TiE – VFI – Mauka Fellowship: Time to go the Entrepreneurial way!